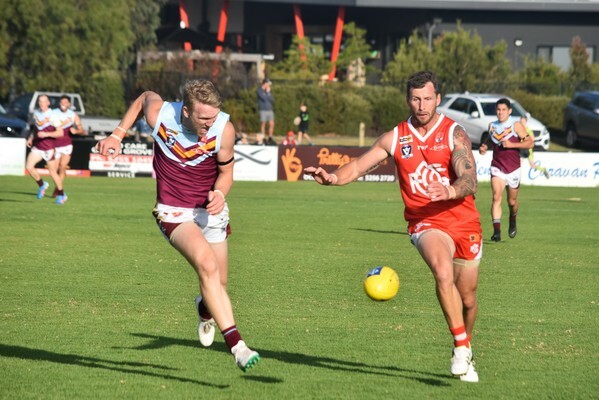 Newcomb celebrated its first win over Ocean Grove since the 2007 BFL grand final after an upset victory under lights at Ray Menzies Memorial Oval on Saturday night. 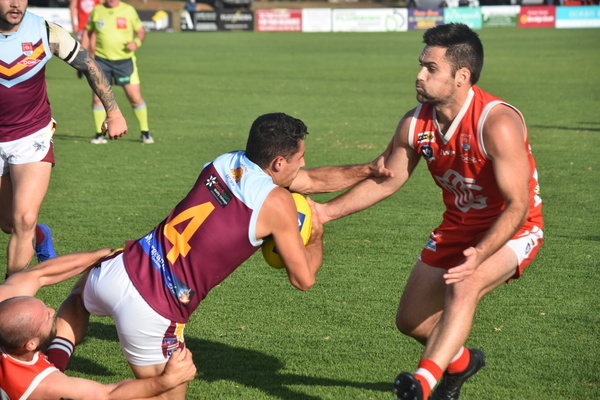 Last season’s wooden spooners kicked a late goal in the dying minutes and came away with a four-point win against Ocean Grove in a pulsating finish and huge result. Final scores Newcomb 7.7 (49) to Ocean Grove 6.9 (45) in the season opener. Power forward Andrew Steele, who booted four goals, showed nerves of steal to kick the sealer as euphoric scenes erupted in the Newcomb rooms after the game. Newcomb coach Rory Nicol, an Ocean Grove premiership Under 18 co-coach, said it was a fitting result for the club. “I guess it is almost fitting that maybe it is the day we have come,” Nicol said after the game. Nicol was full of praise for Steele post-match. “For him (Steele) to bob back up and kicking the goal – I couldn’t think of a fitting person to have the confidence to stay in the game,” he said. 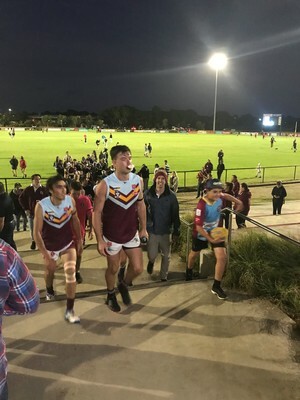 When Newcomb last defeated Ocean Grove in 2007 – it was Jordan Jones’ last game for the Grubbers before he was drafted at pick number 52 for West Coast at the 2008 national draft. Jones returned to the fold at Ocean Grove for the first time since 2007 as senior playing coach. 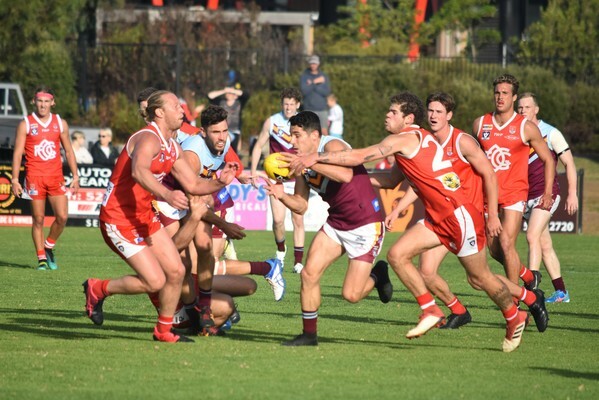 The Grubbers jumped out to a 14-point lead midway through the final term after the Power’s margin was reduced back to one-point at the last break after Newcomb led the whole match. Skills errors cost the Grubbers early. The visitors led by 19 points at quarter time as Newcomb controlled the flow and skill execution by foot was a feature in the win. “I was confident we were going to continue going on with it – it was just a couple of critical moments (that) cost us the game,” Jones said. 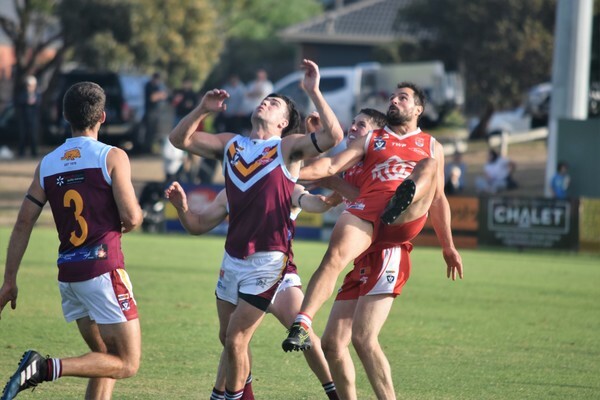 Jones said while it was a disappointing loss, the club had shifted its focus towards Drysdale, which thrashed Queenscliff by 61 points on 6 April, at Mortimer Oval this Saturday. “Very disappointing, but we move on from that,” he said. 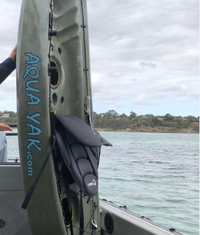 The Grubbers had some wounded soldiers including trio Aaron Baxter (ribs) who went to hospital, key midfielder Luke Cartelli (hamstring) and Peter Hardy (cut chin). Grubber Kieran McNally booted two goals in a low scoring contest. Ocean Grove had several players that made their senior debuts including ruck Steve Presani, Jake Ward, Jake Wilkie and Tom Phelan. New recruit Joey Perkovic was unavailable. 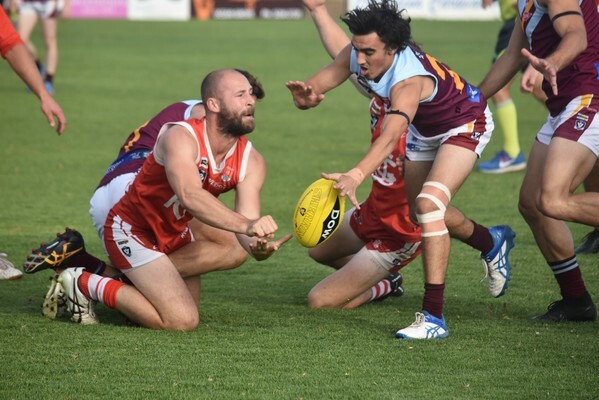 Ocean Grove’s Round 2 match against Drysdale at Drysdale starts at 2:10pm this Saturday 13 April. Goals: K. McNally 2, J. Ward, B. Potter, P. Hardy, J. Jones. Best: K. McNally, J. McDonald, H. Walker, S. Presani, G. Campbell, J. Linton.